Sugar Minott, born Lincoln Barrington Minott on May 25, 1956, in Kingston, Jamaica, is a Jamaican reggae singer , producer and sound-system operator. He began his career as part of The African Brothers along with Tony Tuff and Derrick Howard. Throughout the 1980s the hits kept coming. Being able to encompass different styles from rough roots to sweet lovers, through to classic dancehall, he was an artist of some influence. Richard Stephenson, better known as Richie Stephens, born December 5, 1966 in Savanna-la-Mar, Westmoreland, Jamaica, is a R&B , dancehall and reggae singer and producer. 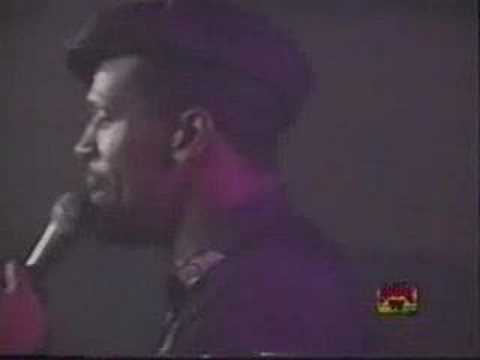 In the early 90s Stephens was a part of the 2-time Grammy winning act Soul II Soul and had recorded at Motown , besides producing reggae records and establishing his own label, Pot of Gold . Later that decade he published famed dancehall singles like Winner , Bus the Place and the mock operatic Slop Dem . In 2006, Stephens was rewarded the Jamaican Governor-General’s Achievement Award for contributing to civic, social and recreational projects in and around the parish of Westmoreland. Delroy Wilson (5 October 1948 – 6 March 1995) was a Jamaican ska, rocksteady and reggae singer . His musical career was highlighted by tours to United Kingdom, election campaign songs, and awards. In 1994, Wilson’s enduring legacy to Jamaican music was recognized by a special plaque awarded him by the Jamaican government, and presented by the then Prime Minister, Patterson. Delroy Wilson died on 6 March 1995 at Kingston’s UWI hospital, of complications from cirrhosis of the liver. He was 46 years old. Gregory Isaacs, born Gregory Anthony Isaacs on July 15, 1950 in Fletchers Land, Kingston, Jamaica, is a Jamaican reggae musician. In the 1970s, he emerged as one of the most prolific and popular recording artists in Jamaica. He released a number of self-produced singles on his African Museum record label. Much of Isaacs’ output reflected the ‘conscious’ themes of roots reggae, but Isaacs was equally adept at interpreting more mainstream lovers rock material. You are currently browsing the Jamaican Music weblog archives for July, 2008.